Almost a quarter of a century since the release of the original film, Disney Pixar have given fans their first trailer for the fourth installment in the Toy Story series. Audiences have grown since Toy Story captivated audiences in 1995, and the film’s scope and tone have grown with them. After being handed over to a new child at the end of Toy Story 3, the fourth iteration of the series takes a seemingly darker turn. Woody (Tom Hanks) and the gang return along with some new friends including Forky (Arrested Development‘s Tony Hale), who Woody is desperate to convince that bringing happiness to children is the googly-eyed spork’s calling in life. After getting separated from the rest of the gang, Woody re-unites with Bo Peep (Ghostbusters’ Annie Potts) in an antique store which seems to be run by Gabby Gabby (Christina Hendricks) and her cronies – a terrifying homage to the horror genre motif of creepy dolls come to life. 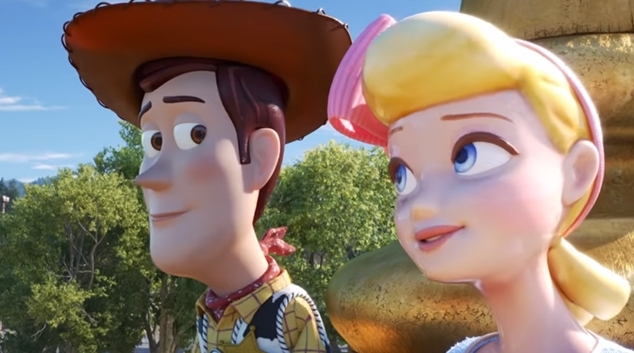 Toy Story 4 also sees the return of Buzz Lightyear (Tim Allen), Jessie (Joan Cusack), Rex (Wallace Shawn), Mrs Potato Head (Estelle Harris) and the rest of the original crew, and newcomers Ken (Michael Keaton), Trixie (Kristen Schall), Mr Pricklepants (Timothy Dalton) and Buttercup (Jeff Garlin). Check out the trailer below. Toy Story 4 is due for release this June.